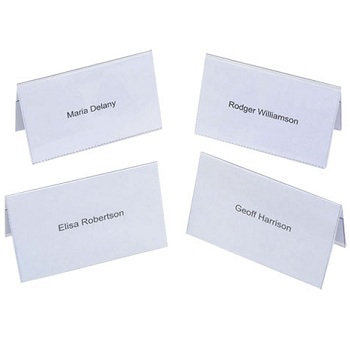 Keep your convention cards organised and in reach at your next function. 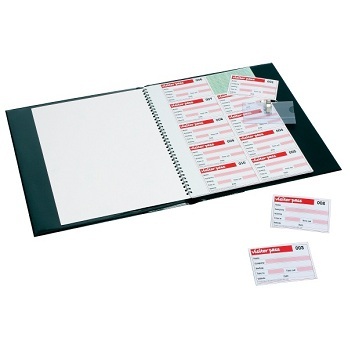 The kit comes complete with 50 card holders (pin only), blank software compatible card inserts and display stand with an alphabetical index that can be customised. Easy access tray ideal for transportation and display. 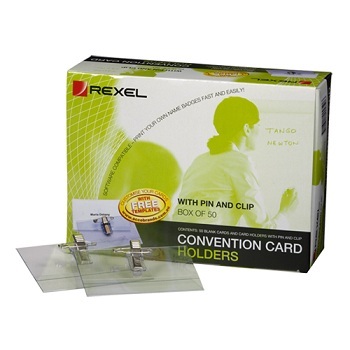 Easy identification Rexel convention card holders for all your conference and convention needs. Names are completely visible in clear card holder. 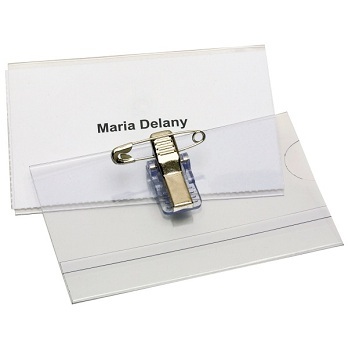 Pack of 50 card holders with pin and clip complete with 50 blank insert cards. 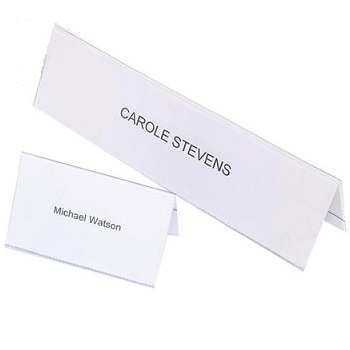 Insert cards for convention badges are supplied in A4 sheets which can be fed through a laser printer or a photocopier. 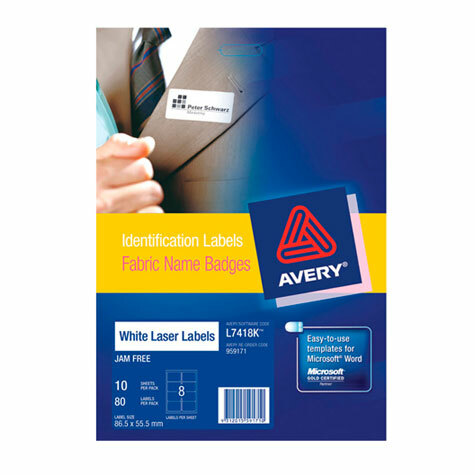 Each sheet contains 10 cards which can be easily separated once printed via perforations. Size - 90 x 52 mm. White 120 gsm Card. 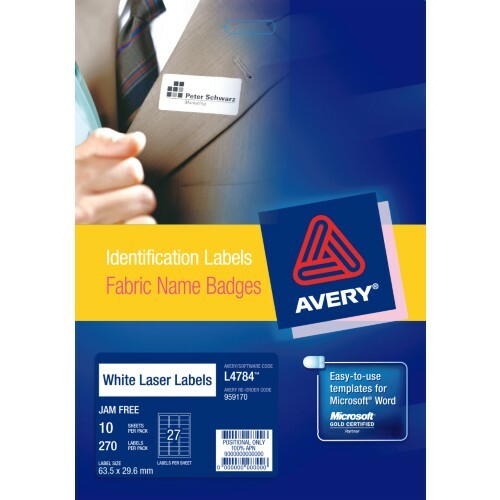 Avery Self-Adhesive Fabric Name Badges ideal for events, seminars, meetings and visitor management. A4 Size - White Acetate Silk (PVC free) - Removable adhesive. 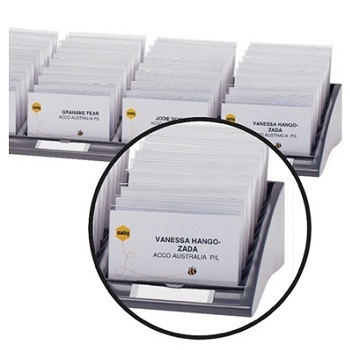 Clear plastic name plates with insertable cards to display titles, names, etc. Use in meetings, training sessions, conferences, dinners, product name displays, etc. 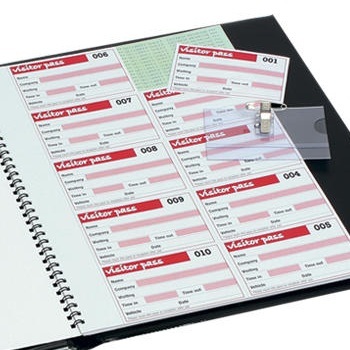 Perfect for use at reception desks to keep a permanent record of visitors. Carbonless duplicate details remain in book. 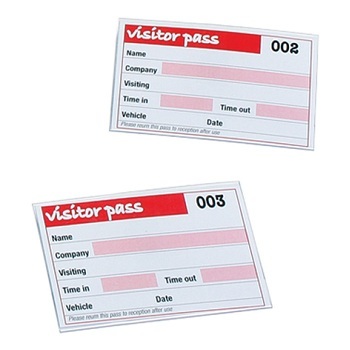 Contains 100 easy-to-use visitor badge inserts. Refills available. Security page included for privacy and security reasons. 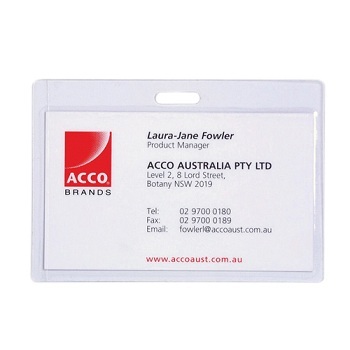 Badge inserts can be used with Rexel convention badge/card holders. Refills For Rexel Visitor Book 900390. Pack of 100 visitors badges. 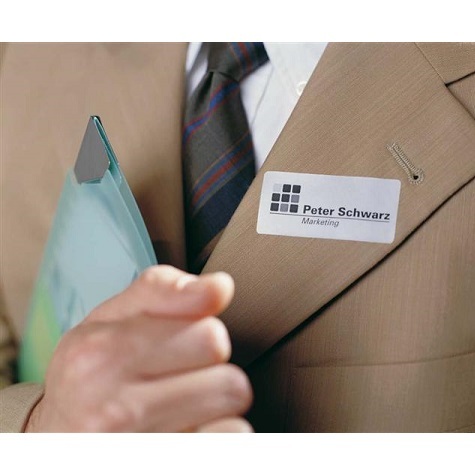 Create high quality, professional name badges. The black bubble badge features a unique curved clear surface to magnify type. 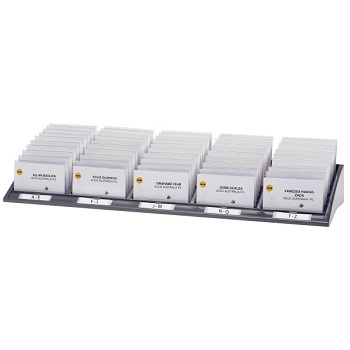 The name label plate slides out easily, while remaining secure, to accommodate name insert. Badge size - 72 x 26 mm. 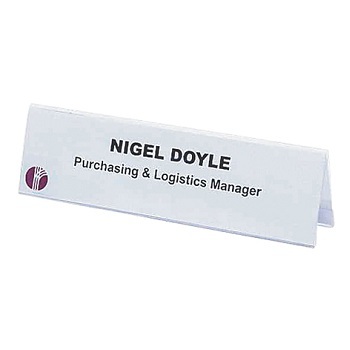 Ideal for staff name badges. Protect and secure your ID, luggage tags and business cards. Can be used with a range of attachments including lanyards, luggage straps and lapel clips. No laminating required. Pouch thickness: 240 micron. Pack of 10 self seal pouches with slot.